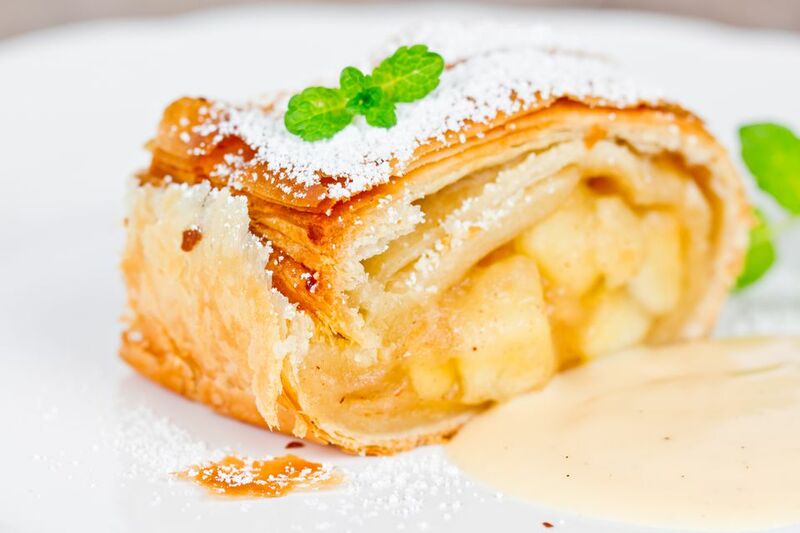 This recipe for apple strudel filling uses fresh apples, but frozen or canned pie filling can be used to good effect if tossed with flour or tapioca. This strudel dough recipe is perfect for this filling. This is a great project for the kids or adult friends after picking apples at an orchard. They can peel and you can stretch the dough, which you've made the day before. Everyone can help roll, bake and eat! Refrigerate, if not using immediately, but let it come to room temperature before filling the strudel dough.